INTEREST FREE LAYAWAY, as low as $ 169.11/ mo. Details. 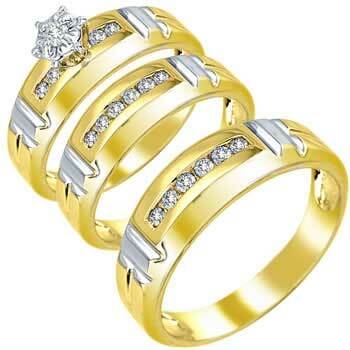 Are installment payments to purchase a engagement ring or wedding bands. It is setup in Paypal as a monthly/bi-weekly recurring payments up to a certain date. Your order ships within 2 business days after full payment. Payment period is the time you initially paid until the final payment date, the shortest interval is 3 months to a maximum of 6 months. Frequency may either be bi-weekly or monthly payments. You may choose your method of shipping during checkout our shipping rate is as follows: Free shipping applicable for delivery within the 48 contagoius states. **USPS Priority may take up to 3 days depending on your address. ***Shipping charges only does not include duties and taxes. 1.E-mail us a picture of the ring of your dream or stop by in our showroom and work one and one with one of our jewelry designer..
2. We will have our designer make a sketch of your dream ring. You will receive an e-mail with the sketch we made for you. We will wait for your approval e-mail before we proceed on the customization work. 3. After receiving your payment, we'll start working on your ring. It starts with a sketch... we make a CAD ... It's casted, setted and finished... then your dream ring is done! Make your engagement ring or wedding ring one of a kind. Show you passion with the kind of ring you'll design. And bring out the artist in you.E-mail your image now and we'll make your dreams come true. 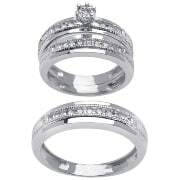 Wedding Rings Depot has been an anchor in the Los Angeles Jewelry District since 1999 . Our family owned business is proud to make your wedding dreams come true with unsurpassed quality craftsmanship and superior customer service. We offer over 10,000 designs, in addition to the countless custom pieces we create. If you can dream it, we can make it! All of our rings are manufactured onsite in our factory in as little as 24 hours. With us, you are purchasing your wedding ring directly from the manufacturer allowing your experience to be quick, easy, and unforgettable. Stop by and say hello if you are ever in Los Angeles. We would love to show you how we can make your wedding an event to remember!